Add versatility and strength to your property with Best Roofing Solutions. 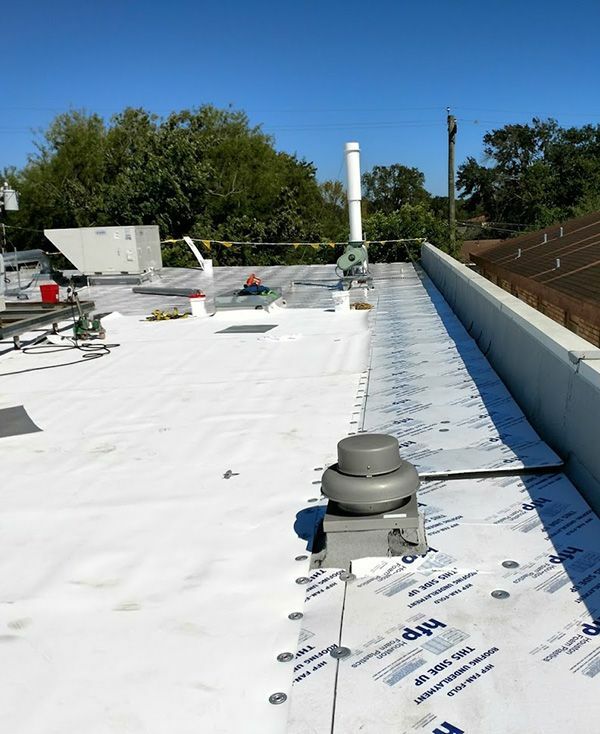 We design, install, and maintain flat roofing in Houston, Texas. Whether for your home or business, our flat roofing contractor has the knowledge and resources to meet your specific needs. Contact us for a free estimate and learn how easy it is to attain a neat and orderly property. Flat roofing repair and maintenance services are also available. As its name implies, a flat roofing configuration tops off your property with a flat, even surface. This option allows a simple, easy-to-maintain profile, while also offering the opportunity to expand. We recommend considering flat roof installation if you are designing an industrial building or warehouse for your business. Homeowners also appreciate the remodeling possibilities that flat roofing delivers. Simply put, a flat roof allows homeowners to add another floor to their homes. Whether for storage, or as the staging point for an open-air garden, a flat roof paves the way for more leisure or utility. The choice is entirely up to you. Protect your home against all types of weather. Flat roofing is composed of several different layers of waterproof material, and a combination of asphalt, bitumen, or rubber. Due to its weatherproofing, low profile, and fire resistance, flat roofing has become an economical, no-nonsense option for commercial and residential customers. It resists harsh weather and winds with ease, while also allowing the opportunity to expand, should you choose. A properly installed flat roof will serve you faithfully for years. Of course, routine maintenance is also important throughout the life of your investment. Count on our experienced flat roofing contractor to keep your investment in optimal shape. Our responsive flat roofing repair services are available whenever you need them. After all, our office is always open to accept service calls. Whether you are encountering a leak, or require an inspection, our team is available to serve. Our team has the training and experience to ensure your repairs are completed to your satisfaction. Contact us today to learn more about our flat roofing services. We proudly serve commercial and residential customers in Houston, Texas.